Hamoda R, Osman D, Hamada H, et al. Effect of myofascial release on electrophysiological and clinical measures of pregnant women with carpal tunnel syndrome. Physiotherapy Quarterly. 2019;27(1):18-24. doi:10.5114/pq.2019.83057. Hamoda, Reham E., Doaa A. Osman, Hamada Ahmed Hamada, Rafik Radwan, Amel M. Yousef, Gehan A. Abdel Samea, and Hassan O. Gharib. 2019. "Effect of myofascial release on electrophysiological and clinical measures of pregnant women with carpal tunnel syndrome". 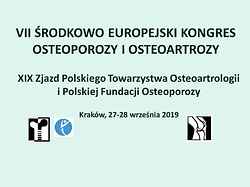 Physiotherapy Quarterly 27 (1): 18-24. doi:10.5114/pq.2019.83057. Hamoda, Reham E. et al. "Effect of myofascial release on electrophysiological and clinical measures of pregnant women with carpal tunnel syndrome." Physiotherapy Quarterly, vol. 27, no. 1, 2019, pp. 18-24. doi:10.5114/pq.2019.83057. Hamoda R, Osman D, Hamada H, Radwan R, Yousef A, Samea G et al. Effect of myofascial release on electrophysiological and clinical measures of pregnant women with carpal tunnel syndrome. Physiotherapy Quarterly. 2019;27(1):18-24. doi:10.5114/pq.2019.83057. To explore the effect of myofascial release on electrophysiological and clinical measures of pregnant women with carpal tunnel syndrome (CTS). Randomized controlled trial. Overall, 30 pregnant women with CTS, aged 25–35 years, were randomized into 2 equal groups. The control group only wore a neutral wrist splint during sleeping for 4 weeks, while the study group received a myofascial release in addition to wearing a neutral wrist splint during sleeping for 4 weeks. All pregnant women in both groups were evaluated pre- and post-treatment with median nerve distal motor latency and Boston Carpal Tunnel Questionnaire to assess pain, numbness, and tingling sensation severity, as well as hand function. Comparing both groups post-treatment revealed that there was a statistically highly significant decrease in median nerve distal motor latency, pain intensity, numbness, and tingling sensation severity, as well as in weakness and difficulty in grasping severity (p < 0.001) in favour of the study group. Myofascial release is an effective method for improving electrophysiological and clinical measures of pregnant women with CTS.